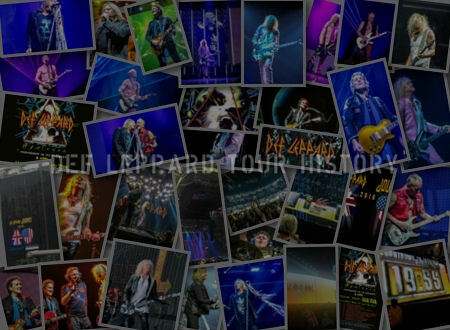 Rock photographer Bob King's website has galleries from shows taken during all tours from 1984 to 2011. 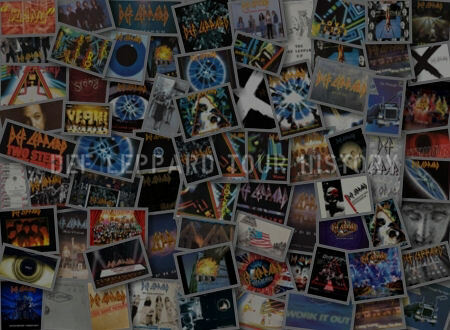 These include the first show at the Narara festival, the first full tour of 1992 and a secret acoustic promo show played in 1995 at Bondi Beach. The band returned to Australia in November 2015 playing shows in Sydney, Melbourne and Perth during the current world tour. View some of the photos below courtesy of Gettyimages from the 1984 Narara show and from Sydney 2008. 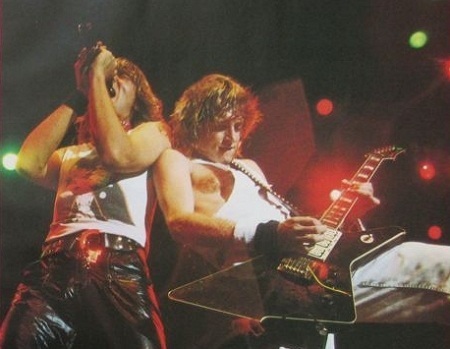 The 1992 gallery shows Sav wearing his Adrenalize 'Ded Flatbird' T-Shirt only seen on the Australian tour. The name not used again until the 2013 VIVA! 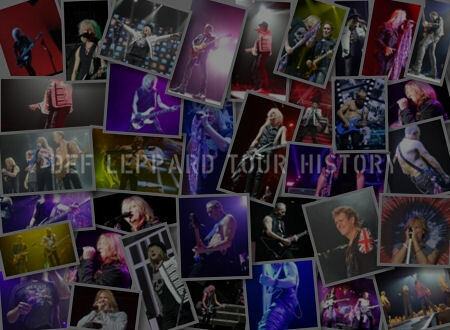 Hysteria shows in Las Vegas when they opened for themselves. 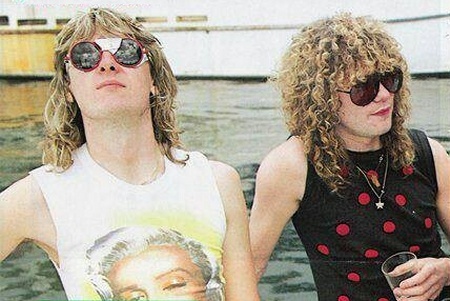 Joe and Sav are pictured above on a boat in Sydney harbour in February 1984. They were recording an interview for UK TV along with the rest of the band. 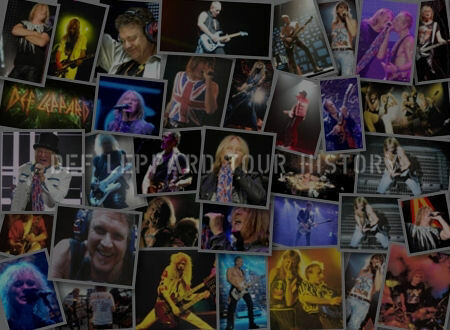 "At the Narara Festival outside Sydney, Leppard played in the pouring rain for 30,000 people who, for the most part , had no idea who or what a Def Leppard was."